Desktop publishing, commonly abbreviated to DTP, is the whole sequence of computer processes (micro-computer, software, text capture peripherals, etc.) which allow documents to be produced for printing. Quality communication involves a graphic design phase, which often complements a translation. 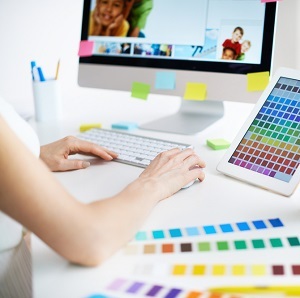 Although the commonest kinds of DTP work do not generally pose any problems, technical, scientific or commercial documents do require the involvement of a graphic designer using Desktop Publishing software. This designer will be able to digitise a photo or a diagram, or even redesign a drawing or a sketch. Text layout checks are carried out by people who are familiar with the languages used, offering you extra security for your communication and allowing us to eliminate error and minimise costs.